Mika Lenna, the CEO of Olento Research, won’t be deterred. Yes, the Lucidites have the upper hand, but he has something better. The one thing that can really stop them. The potential to create the rivalry to any werewolf. Mika has crossed the final threshold of humanity to do something that no human would dare do. But if it pays off, then for him, it will all be worth it. The pack is stronger than ever, but still missing so many members. Still, they find a way to band together to create a cohesion they didn’t know in their past lives, the ones before becoming werewolves. Meanwhile, the Lucidites are quickly making progress with a solution that might help the men assimilate with the wolf. However, will it come at a cost? The men have become accustomed to the wolf, and losing it may feel like leaving behind a part of themselves. And finally, Adelaide has realized that her father’s death made her lose a part of herself. She dives deep to find a way to recover it, but will she surface, or much like her father, will she be lost forever? In the final installment of the series, the wolves must defend and those around them must decide if they’re willing to battle along beside them. The final fight won’t be nice or fair, especially when there’s so much at stake. 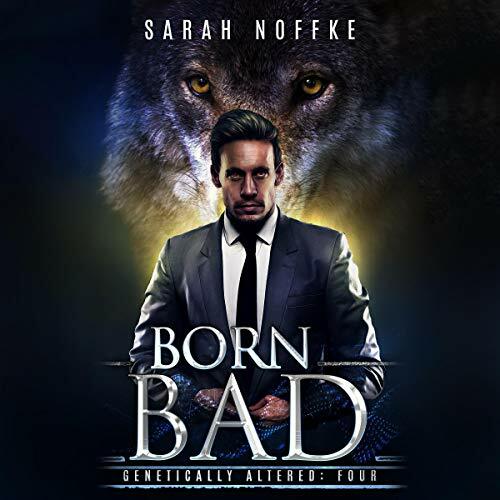 The last audiobook in the Genetically Altered series does not disappoint. It has a thrilling and satisfying end, but it still leaves room for the expansion and continuation of some of story threads. In this fast paced story the Lucidites and the Pack race to find the remaining wolves before Mika can capture and corrupt them. They are desperate to stop Mika and his warped scientist, Drake, from continuing their monstrous experiments and achieving their vampiric aim. This story is full of excitement, intrigue, action, tension and has some great romance in it too. The narrator once again does an excellent job, hitting all the accents well and bringing the characters to life. I loved the “Ren” touches, even dead he still manages to exhort his influence on people. Adelaide really comes into her own in this book. She finally stops trying to be her father, starts to believe in herself and begins to feel worthy of being loved. I liked the slowly developed changes in her and the growth of her relationships. We also get a few more hints about Lucien in this story and I can not wait to see how he develops in the future. I really enjoyed this audiobook and will look forward to more story's in this amazing world. LOVE this series! Werewolves are a favorite of mine and I ADORE this take on werewolves!! TOTALLY enthralled! Still waiting for the return to the Dream Traveler Universe! So many tidbits in this series from the rest of the Dream Traveler Universe. I truly cannot wait for a return to this universe. I want to see more of this story - What happens with Mika? What exactly is the Dream Traveler Apocalypse? I need answers!